Preview: Get the Nerf war accessories you need to turn your backyard battle into the ultimate Nerf War! Want to know how to prepare for a Nerf war? Get the right gear! You must have the right safety equipment and the coolest Nerf gun accessories if you want to transform an ordinary battle into the ultimate Nerf gun war! 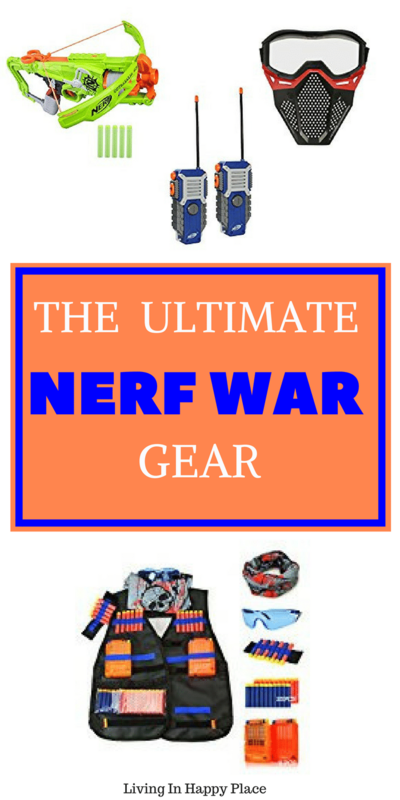 The coolest accessories for the ultimate Nerf war! Nerf wars sure have come a long way since I was a kid. (Do me a favor and don’t ask how long ago that was 😉 ). With battery powered guns, target practice, and even tactical gear, Nerf wars have turned into serious business. Did you see the size of that Mastodon?! Nerf wars are one of those childhood rights-of-passage. We will always remember that one epic Nerf gun match and the friends who battled it out with us. Any backyard game can be taken to the next level by adding some Nerf guns. Whether you have a new player in your house or a seasoned warrior, you want your kids to have the right Nerf accessories for both fun and safety. There is much more to Nerf gun wars then just choosing your weapon. What do you need for a Nerf war? This tool will definitely up your Nerf game. Keep in touch with your team, plan tactics, and overtake your opponents. With 1000 foot range and Morse Code button, these Walkie Talkies will take your Nerf war to the next level! Wondering how to dress for a Nerf war? Get the right safety gear. The Rival Face Mask comes in both blue and red to help identify team members but as I mom, I bet you love that it offers eye protection. It also has an adjustable band and a breathable front. Let your kids shoot something besides each other… This one stands up or can be hung for target practice. Because what else would you need in the event of a Zombie Apocalypse? Be safe from zombie’s or take out your Nerf war enemy with a 5-dart rotating drum and real crossbow action. This one is my favorite! Wouldn’t you have just loved to have this as a kid?! This is how you gear up for a Nerf war! This vest could be the difference between winning and losing. Maximize your firepower with extra ammo and quick reload clip while looking like a true competitor in the skull bandana and safety googles that show you are ready for battle! “Carries up to 4 Nerf Blasters; Holders for loads of Nerf darts; Sturdy steel frame; tool-free adjustable seat. Forward and reverse gears; Free-wheel function; Easy chain drive adjustment” . What else could you possibly need to win your Nerf war!?! Whether you are planing a Nerf gun war birthday party or just bonding as family, now you have the coolest gear on the block. I hope you have a blast (pun intended!) making Nerf war memories with your kids! 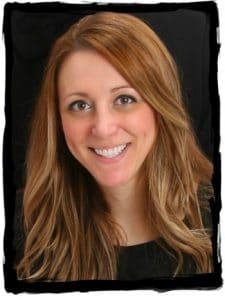 Great article on nerd products especially for this nerf -mama! I’m so glad I can finally purchase a target instead of being shot with nerf darts all day !! !